What is it that makes a performance legend? Experience and design integrity make a legend. Since the early 1970’s, Electro Harmonix have been designing analog delays featured on some of the greatest recordings and used by legendary musicians throughout the world. From the original Memory man to the Deluxe Memory Man, their delays are desired instruments for the organic tones that deliver textures that define quality. 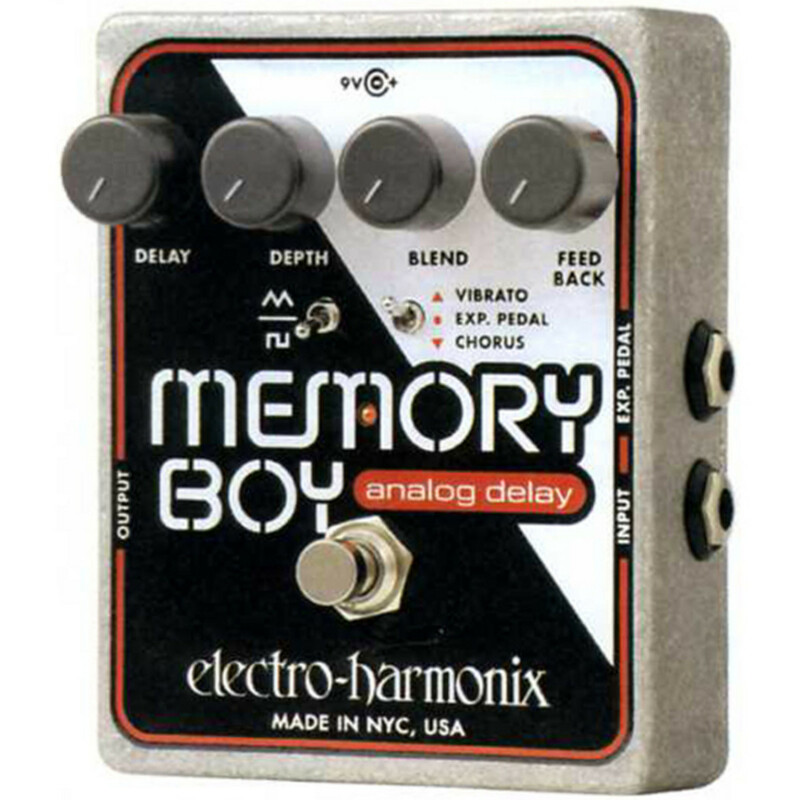 The Memory Boy carries the performance heritage for warm analog delays and modulations that made its ancestors the go to legends that remain today. With two years in design using new and refined, analog IC’s the focus was making a legend affordable to every musician while maintaining the character and artistic sounds that let you stand apart.